Want to lower your energy bills and save money every month, year after year? 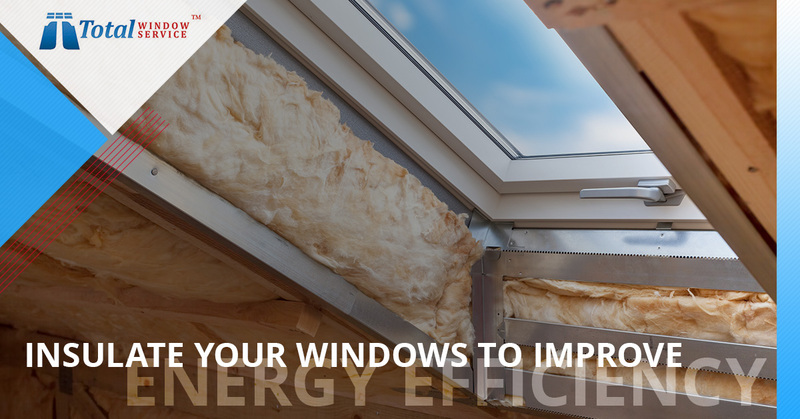 A great way to do this is by insulating your windows, which has the effect of improving your home’s energy efficiency. It also keeps your indoor climate more comfortable by avoiding temperature fluctuations from one room to the next, eliminating excessively cold or hot spots. If you own or run a business, window insulation can help save your company money, making it a good investment now for ongoing cost savings. Learn more about the benefits of insulating your windows, whether in the residential or commercial sector. When done correctly, insulating windows is a multi-step process; however, it doesn’t take an excessive length of time to complete, and it’s very affordable. Done right, window insulation involves applying glass film, as well as caulking around the glass. Caulking is important because it closes any gaps that may be present between the glass and the frame. Your heated or air-conditioned air can be escaping through these gaps; in addition, excessively hot or cold air from the outside can be sneaking into your homes through these holes, creating hot spots, cold spots, or uncomfortable drafts. A thorough caulking job will seal these leaks to get rid of drafts and keep air from escaping out or entering the room. Another benefit of window caulking is that it keeps moisture and insects out. As far as applying glass film, it’s a matter of covering the window with some type of insulating film. Low E window film is especially effective, as it works to block excessive heat and glare, making it a good heat-blocking solar window film. It also works to protect your windows, which is why the application of low E window film is regarded in the industry as a useful way to extend the life of your windows. It’s a great choice for dual-climate locations, like New York City. Other types of window film can be applied effectively to improve your home’s or commercial building’s energy efficiency. Ask Total Window Service what your options are, or keep reading below! Solar Window Film: Offers solar heat resistance while blocking glare. Privacy Window Tinting: Prevents people outside from seeing into your home or business. Low E Window Film: A high-performing, low-emissivity film that blocks heat and sun. Safety Window Film: Keeps glass securely in place in case it breaks or shatters. Anti-Graffiti Window Film: Protects windows against marking, scratching, etching, and other forms of vandalism. As you can see, there are different types of window insulation glass film to choose from, so that in addition to enjoying a better indoor climate, a more energy efficient home, and lower utility bills, you and your family can also benefit from reduced glare and increased privacy, among other pluses. Window insulation services have the effect of keeping cold air outside when the temperatures drop, whether it’s in the middle of winter, or simply on any chilly night. Insulating your windows also has the effect of keeping heat outside when temperatures rise in the middle of summer, or anytime the weather is hot. By serving as a barrier between your windows and the outdoors, window insulation lets your furnace or air conditioner work at a regular, steady pace, without having to compensate for temperature extremes in sections of the house where excessively cold or hot air is leaking through the windows into your home. Because your climate control system is able to work more efficiently, it doesn’t use as much power, and as a result, your home or business becomes more energy efficient. This translates into lower utility bills each month. If your windows were especially leaky, you should see significant savings every month after getting your windows insulated. By having protective glass film applied to your windows, you’re extending the life of your windows as well as improving energy efficiency while experiencing a number of benefits that make living in your home or working at your business far more comfortable and enjoyable! To maximize your benefits, improve your home’s energy efficiency, lower your monthly bills, and avoid the hassles and headaches that come from trying to do a home improvement project yourself, contact the window specialists at Total Window Service in New York City. We will expertly insulate your windows, at a price you can afford, doing the job right the first time. To insulate your windows and start enjoying monthly savings on your utility bills, reach out to Total Window Service. 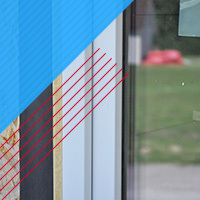 We will expertly provide professional window insulation services you’ll benefit from in numerous ways. Reach out to us and make your appointment today! Simply fill out our convenient online form for a free, no-obligation quote, or call us at 917-972-9020 to talk with one of our representatives and schedule your appointment. You’ll be pleased to know that in addition to offering window insulation services, Total Window Service provides expert window cleaning, building power washing, light fixture cleaning, and glass restoration services. Our business name says it all; we offer complete window services for your convenience and peace of mind. Contact Total Window Service in New York City today!